This is a fun item. 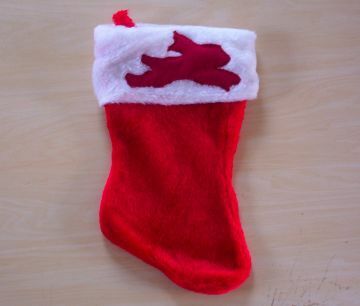 It is a typical fuzzy Christmas Stocking with a Red Rabbit Cut Out in Oriental Print. Surprise a Rabbit Owning or Rabbit Loving friend or family member on Christmas morning with this cute item!! OR!! Buy one for yourself and/or one for your pet rabbit friends. No two Christmas Stockings exactly alike.